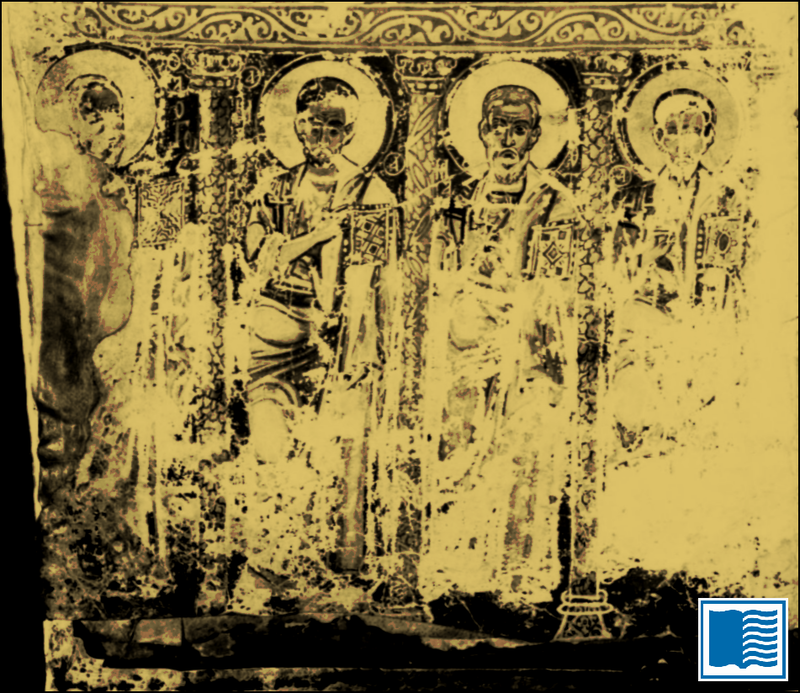 Among the Greek manuscripts overseen by the Jerusalem Patriarchate, there are a few small collections which were included in the group that was photographed by Kenneth Clark’s expedition in 1949-1950, with the larger Saba and Stavros collections. 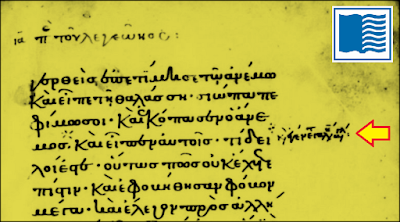 Here is a list of Greek New Testament manuscripts in the smaller collections, with embedded links to page-views at the website of the Library of Congress. Some of these manuscripts are very late, post-dating the invention of printing, but K. W. Clark and his colleagues went through the trouble of photographing them and I did not want their work to be ignored. been added in the margin. The zoomorphic initials at the beginning of Mark and John have a Western European style. 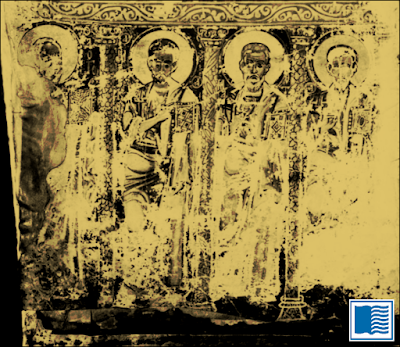 Photios 29 – Psalter with Odes (800’s/900’s) Magnificat (Luke 1:46-55). 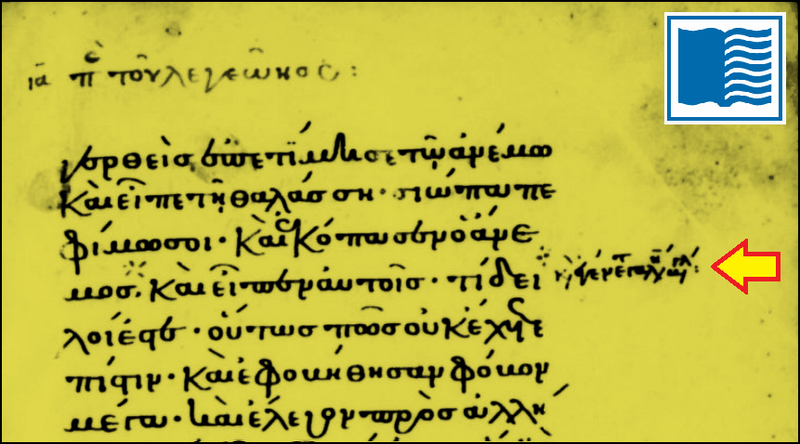 Naos Anastaseos 9 – Evangelion (made in 1152). The Gospels-text in this lectionary appears to be closely related to the text in Codex Tischendorfianus III (Λ, 039), at least in John 8:1-11, as described in an earlier post. Naos Anastaseos 3 – Evangelion (made in 1633) Two dragons form the initial ε of John 1:1.
the text in Megale Panagia 1. Perhaps some readers, even with the newly accessible page-views of all these manuscripts from the Library of Congress, may be thinking, “But I want more lectionaries to study!” For those rare souls I commend the collection of links at the website of Princeton University where one can find links to digital presentations of very many Greek lectionary-manuscripts, not least of which are GA Lect 1957 (Chester Beatty Library W 138), GA Lect 1627 (Lutheran School of Theology at Chicago Gruber 124), the fragmentary Cod. Suppl. Gr. 122 Han, and the palimpsest Bodleian Library Barocci 206.